Although we do not use or endorse the thousands of beauty potions and gimmicks you will find for sale online, there are a few high-tech self grooming aids that we do recommend for everyone. 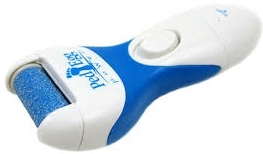 This little handheld battery-operated (cordless) device quickly removes dry and callused skin from your feet. If you have gnarly feet, you'll love it. Warning: Be careful when ordering replacement rollers, as there are other brands that look like the Ped Egg, but don't fit your unit. 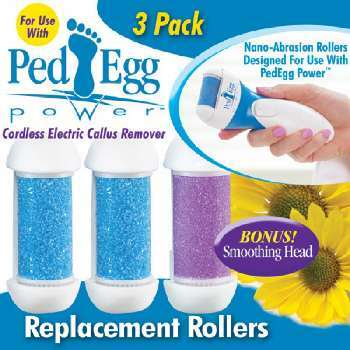 Find the Ped Egg Power and the correct replacement rollers thru our Amazon affiliate links above. Remove hair from your legs and don't worry about stubbles for 3 weeks or longer. 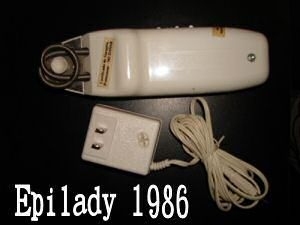 I have used my Epilady since the 1980s, for literally decades, and it is still going strong! The latest Epilady Classic Trio model uses the same mechanism, so I recommend it highly. This company also puts out several cheaper models, such as the Legend, Briza, Cosmos, etc., which appear to use a different hair removal method. We have no experience with them and so recommend only the Trio. 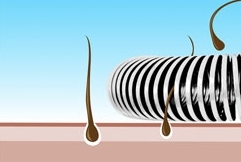 Warning: the Epilady uses a coiled spring which actually grabs and pulls your leg hairs out by the roots. That is why the de-fuzzing lasts so long. If you have a low threshold of pain, you might not want one of these. 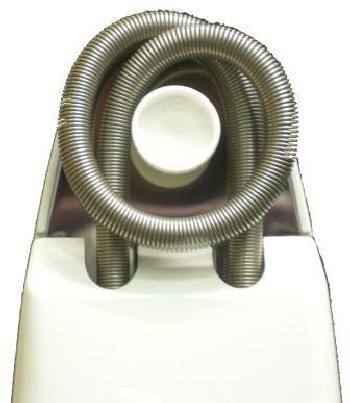 That being said, I have never had a problem using this device. To me, it is a slight discomfort which I feel is well worth only having to "shave" once a month. You can use the Epilady either plugged into the wall or charge it up for cordless use. Find one at Amazon. If you've got baby fine hair like I do, it doesn't take much to end up with a tangled mess of snarls after washing, sleeping, or active outdoor activities. I have always hated detangling my hair because of the pain involved (Mom called me Tender Head). 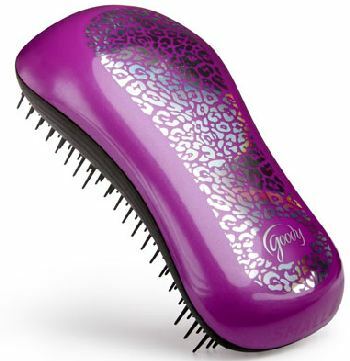 My daughter recommended this inexpensive hair detangler to me one day; what an awesome tool! The design allows for very gentle but thorough detangling. Cheap and highly recommended, you'll love it. Buy on Amazon or at most drugstores. Although we don't endorse most of the top beauty products online, we do value highly and recommend some inexpensive oral hygiene devices. Our dental hygienist, Nonni, is wonderful. She is quite the teacher and has stressed to us the importance of taking care of your teeth, before it's too late. Last time Scott went for his cleaning, Nonni told him that by following her advice, his oral health has noticeably improved. Brushing your teeth morning and night, for two full minutes. That's a long time to stand there scrubbing your teeth, and most of us just don't do it. We have used these for years. 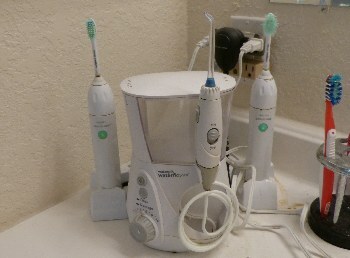 They sit in a little recharge stand and are cordless while in use, so you can walk around while brushing. The patented sonic vibration helps remove plaque, and a two-minute built-in timer lets you know when you're done. 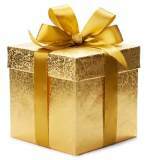 Very reasonably priced, we think everyone should have one. TIP: Did you know that unless cleaned after use, your toothbrush harbors lots of debris and bacteria? It can actually re-infect you with cold viruses! There are now some high-tech toothbrush sanitizers which clean with UV light or steam, but we feel that's not necessary, and just adds to bathroom clutter. Simply dip the toothbrush head into a bit of rubbing alcohol then rinse thoroughly before replacing in the charging rack. 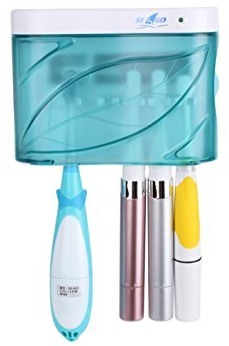 In case you are interested, this UV Toothbrush Sanitizer put out by Linsam is available from Amazon. It can also be used to UV disinfect tweezers, nail clippers and earrings. I don't know about you, but I hate flossing my teeth. According to Nonni, nothing beats using good old-fashioned dental floss manually to clean between your teeth. But a close second-best is the Waterpik, a "water flosser". We also use this device daily and recommend it if you are interested in saving your natural teeth. 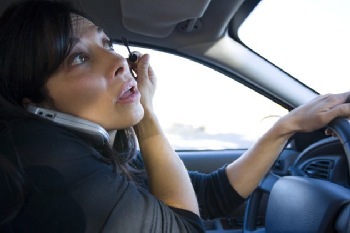 You ever been sitting at a red light one morning and you looked over and saw this next to you? 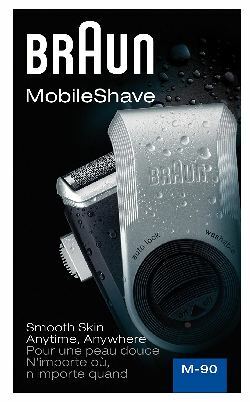 We didn't want to leave you guys out, so I'll tell you about one of Scott's favorite gadgets: a battery operated razor! He loves this thing when he's in a hurry and needs to show up looking decent!